I have not been shy about my love of salads. My simple radish salad and my arugula and golden beet salad, are examples that salads don’t need to be overly complicated to be delicious. My mom had me eating salads when I was a kid and I’m incredibly thankful for that. Because of that early exposure, I’ve never stopped. You can make a great salad with just about anything you have in the refrigerator. 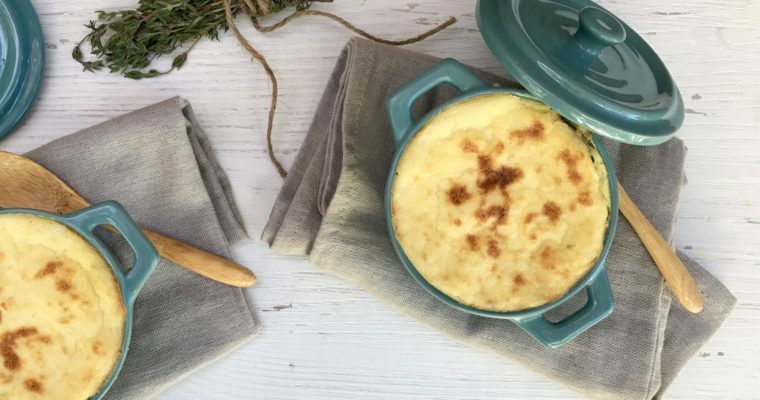 If you work with the season and look for complementary flavors, there are limitless easy combinations, so many that you hopefully won’t get tired of any one thing. 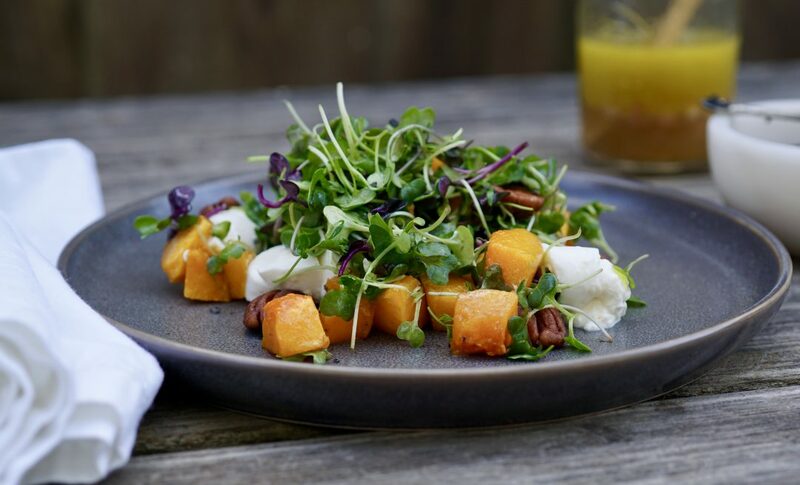 In cooler months, I opt for a heartier salad, using more filling seasonal ingredients such as this lovely salad with roasted butternut squash and one of my favorites soft cheeses of all times, burrata. Butternut squash intimidates some people. I get that. The shape can make it tricky to work with, and it requires proper cooking to bring out the flavor you want. For tips on how to safely peel and cut a butternut squash click this link. But if you can handle those hurdles, you’re golden. Butternut squash is a member of the gourd family, like pumpkins and melons. Because of its seeds, it is technically a fruit. Butternut squash is naturally low in fat and loaded with dietary fiber. Butternut squash is also a great source of potassium, Vitamin B6 and is very high in beta-carotene, a powerhouse nutrient that might have cancer prevention properties. 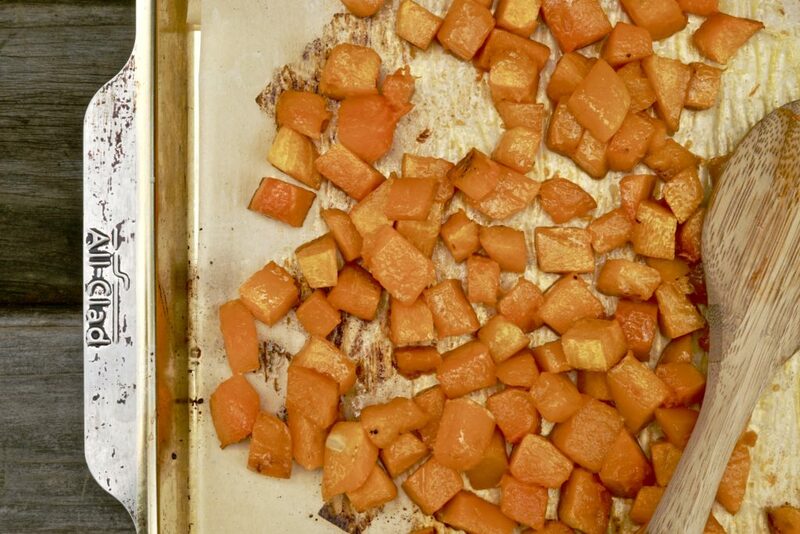 So, if you are not yet a butternut squash fan, it’s worth considering. 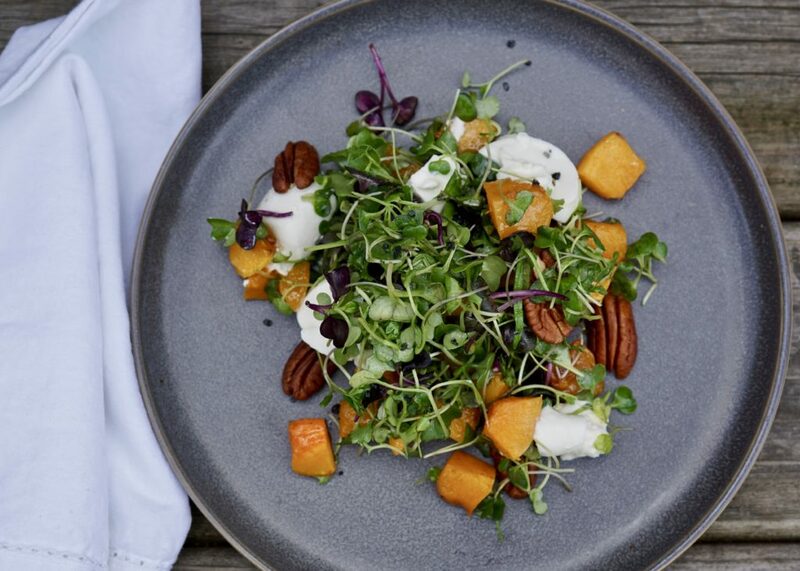 I pair this healthful gourd with fresh, slightly salty burrata cheese, flavorful microgreens and a sprinkling of whole pecans. 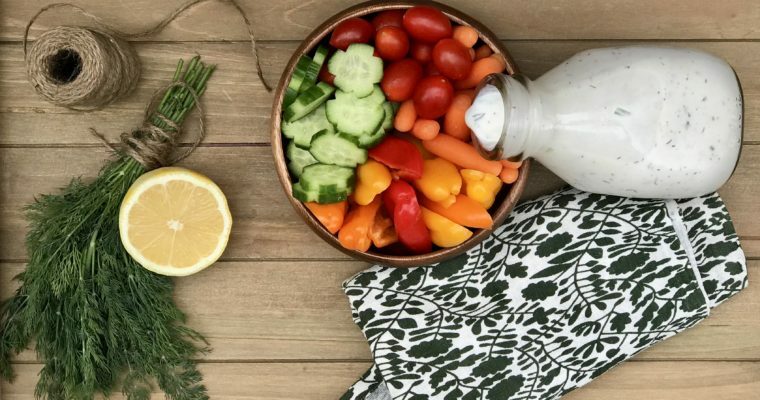 A simple apple cider vinaigrette blends all the wonderful earthy flavors together into an elegant, filling salad that you can enjoy any night of the week, just make a little bit of extra for lunch the next day. Step 1 Preheat the oven to 400 degrees F. Line a baking sheet with parchment paper and set aside. Step 2 Place the butternut squash on the prepared pan. Drizzle with the olive oil, maple syrup and salt using your hands, lightly toss well to coat. Place in the oven and roast till tender, about 15 minutes. Remove from the oven and let cool slightly. Step 3 For the dressing, in a small bowl and the shallots, honey, apple cider vinegar, lemon juice, olive oil, salt and pepper, whisk to blend. Adjust the seasoning as needed and set aside. Step 4 To serve, in a large mixing bowl add the microgreens and roasted butternut squash, drizzle with some of the dressing. Gently toss to mix. Place on a serving platter. Place the burrata on and around the salad. Garnish with pecans and serve.